A pleasant cinematic experience well worth one's time, Grand Hotel is a must see. A Swedish Coming-of-Age film based on a youth novel by Ulf Stark that will be enjoyed by younger viewers and grown-ups will find heartwarming and touching. 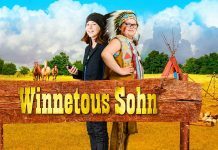 A 10-year-old boy seeks to be cast in the role of a famous Indian Chief's son in a local theatrical production. A bitter-sweet story about friendship, growing up, first love and everything in between. The story of the encounter of Florian and Daniel -- two pupils at a German boarding school. Un Chateau en Espagne isn’t a masterpiece, but its story is pleasant enough to keep you entertained — one of those feel good movies that are perfect time fillers. Recommended! 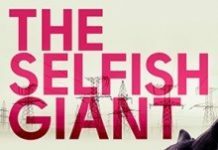 The Selfish Giant is a tough movie about tough kids, tough people, tough luck and tough fate and it will take a lot of effort on the part of the viewer not to be affected by its poignant story. 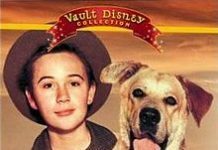 Old Yeller is a classic example of a Disney family oriented animal adventure story, with the potential to appeal to both young and adult audiences alike. Published in 1969 and considered controversial in its day, this book is a Coming-of-Age novel that describes the horrid experiences of losing someone you love and then having to adjust to a completely new environment. 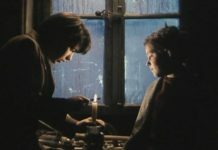 This Dutch Coming-of-Age film is the unpretentious, yet moving, story of a 10-year-old boy endeavoring to accept, and deal with, the realities of his life.